Arnaud Rebotini is one of France’s most legendary electronic music artists. After having been part of several bands, he rose to prominence in techno-circles with his band Blackstrobe in the 2000’s. Recently he contributed the soundtrack to the movie ‘120 Beats Per Minute’, and is gracing festivals all over europe with his energetic live acts fusing electro and techno. For his OFF Recordings debut he presents 4 diverse originals. The title track ‘Flowers For Algernon’ fuses an acid hook with 909 drums and a spacy pad. ‘Jacob’s Cycle’ offers a trancy synth arpeggio. ‘My 909’ is ‘drummachine only’ tool with our all most beloved rhythm maker. ‘The Great Frog’ jumps onto the dancefloor with pure acid. 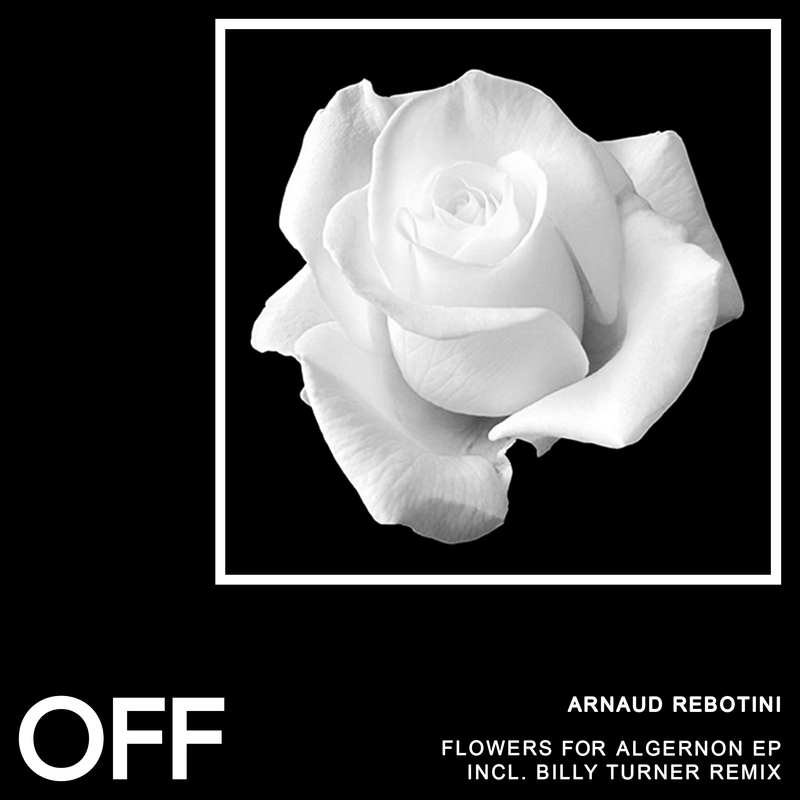 Finally, Billy Turner, known from releases on Drumcode and Kneaded Pains, delivers a deep and emotional remix of Flowers For Algernon.